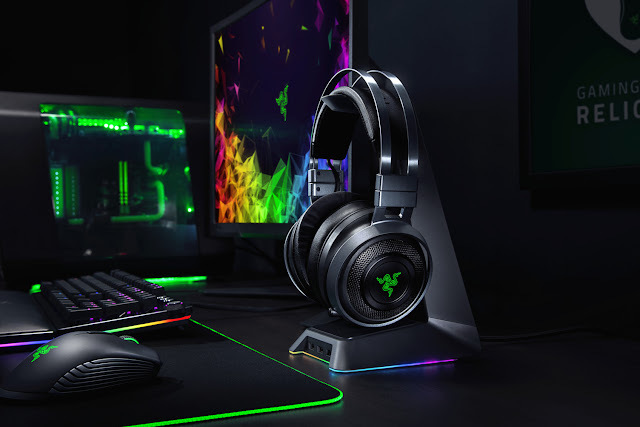 Razer™, the leading global lifestyle brand for gamers, announced the Razer Nari Ultimate wireless gaming headset with Razer HyperSense, advanced haptic technology that delivers an added dimension of touch to gaming, movie and music experiences. The Razer Nari is available in three versions: Razer Nari Ultimate, Nari, and Nari Essential. The Razer Nari Ultimate described above delivers the most gaming audio value for gamers at $199.99. The Razer Nari at $149 omits Razer HyperSense while mirroring the Razer Nari Ultimate in comfort, sound technology and all other features. The Razer Nari Essential focuses on core wireless gaming headset features with THX Spatial Audio, comfort with an auto adjusting headband, and cooling gel ear cushions and lag-free performance at $99.99.